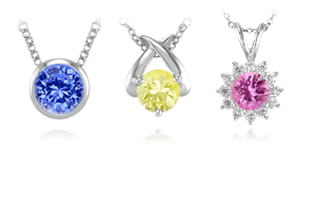 Silver is one of the most recognizable and common of the precious metals, and for very good reasons. 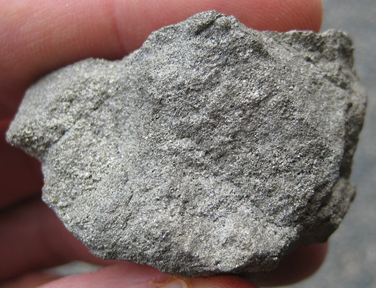 Silver ore. Image from etmarciniec.com. The amount of silver in a decorative object or piece of jewelry is indicated by its fineness. Fineness is a measure of purity expressed in parts per thousand. Pure silver is referred to as “fine silver,” and it is, at a minimum, 99.9 percent pure silver. It is said to be at least 999 parts fine. 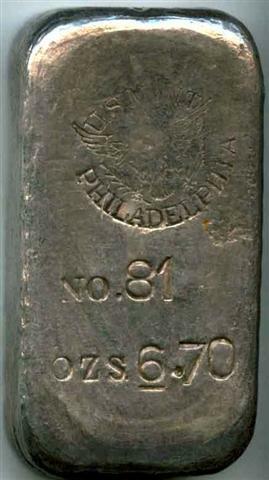 Fine silver is used to make bullion , which is traded in international commodities markets. Pure silver is very soft. It is often alloyed with other metals, particularly copper, to make more durable for everyday use and wear. However, there is an increased likelihood that a silver piece will tarnish if it has a high concentration of alloyed metals. 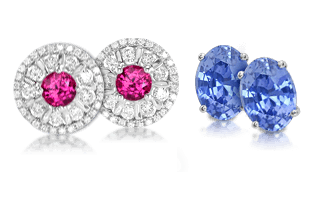 Firescale refers to the red or purple color that appears when silver is heated to high temperatures. If certain characteristics in the finished metal are desired, other materials can replace copper within the alloy. Germanium, zinc, platinum, boron, and silicon can be used in small quantities to reduce the finished metal’s porosity, eliminate firescale , or improve its resistance to tarnishing . 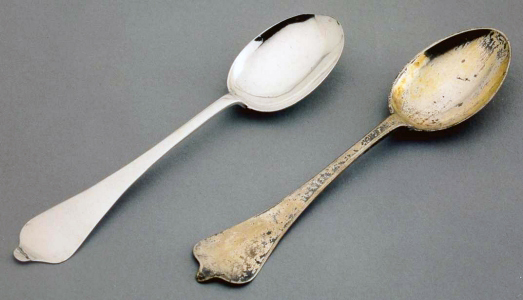 Untarnished and tarnished silver as seen on spoons. Image from silvertarnishing.com. Electrum, a naturally occurring alloy of gold and silver, was used in ancient Egypt to coat the capstones of the ancient pyramids and the tips of obelisks. Electrum was also used to make the first stamped coins, called staters, around 600 B.C. in the Kingdom of Lydia. A Carthaginian electrum coin, stamped on both sides. 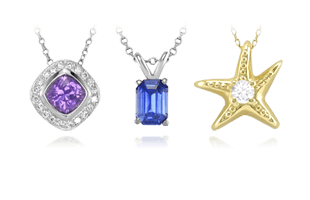 The silver market is dominated by one alloy, sterling silver . It is usually made of 92.5 percent silver and 7.25 percent copper. 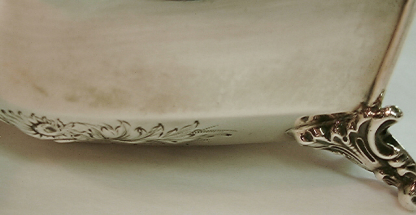 Britannia silver has a higher silver content than sterling silver. It is comprised of 95.84 percent silver and 4.16 percent copper or other metals. Coin silver is generally lower in purity than sterling silver and was originally made from melted coins. It is usually about 90 percent silver and 10 percent copper. 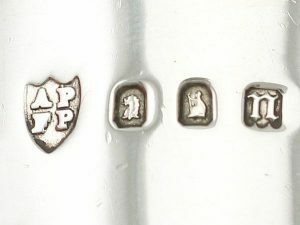 An example of Britannia silver hallmarks stamped in silver. The term German silver has more than one meaning. 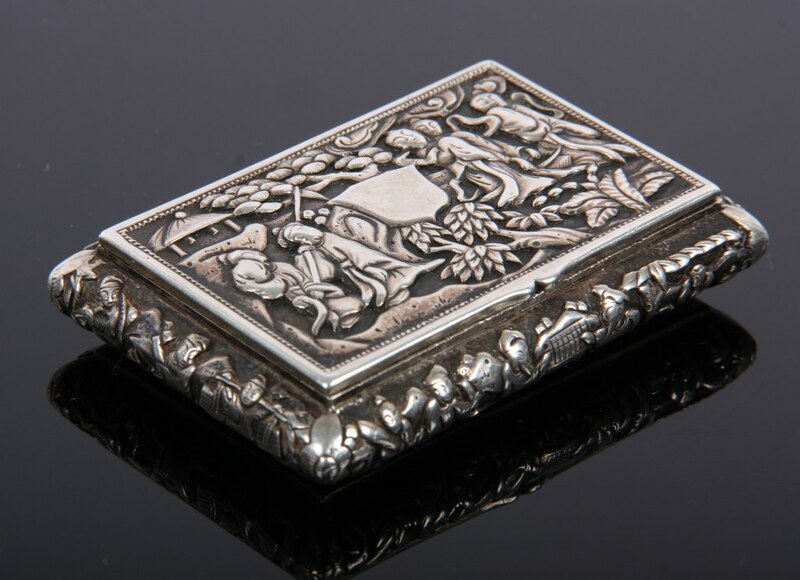 Silver that is 800 parts fine is sometimes referred to generically as “ German silver .” This alloy is used for casting because of its superior strength. This use of the term “German silver” is somewhat misleading because silver alloys with different fineness (e.g., sterling silver) are also manufactured in Germany. Further complicating matters, “German silver” is also another name for nickel silver, which has no silver content whatsoever. Nickel silver is an alloy of nickel, copper, and zinc and it is commonly used as the base metal foundation for pieces that are silver plated. For clarity, it is best to avoid the term “German silver” and refer instead to silver 800 or nickel silver as appropriate. A Chinese silver jewelry box. Chinese silver is an alloy made of 58 percent copper, 17.5 percent zinc, 11.5 percent nickel, 11 percent cobalt, and 2 percent silver. 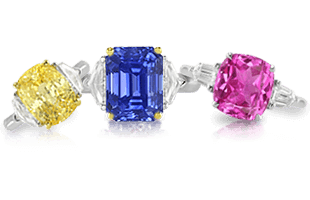 Although it contains very little precious metal, it is used for jewelry making. It is possible for jewelers and appraisers to perform simple tests to determine the fineness of jewelry and decorative objects made of silver. In the next section, A Breakdown of Precious Metal Manufacture, Technique, and Styles, we’ll build on how all of this information is incorporated into the production of precious metals.